Pendulumic - A wireless audio company overview - expatinjapan. Head Pie contacted Pendulumic and put forth a variety of questions about their company and products. They were kind enough to respond. Thanks - expatinjapan. Pendulumic is a young company and is a "Wireless-only" personal-audio brand/company. It prides itself as the only wireless headphones brand to launch and be well-received within the Audiophile headphones arena. PENDULUMIC lives by its strong claim: "Wireless freedom never sounded so good", even to the most-immaculate ears of headphone audiophiles. The LATEST product is the Tach T1, an on-ear (super-aura) wireless headphones - to further showcase the PENDULUMIC wireless experience, specially for the discerning ears of Traveling Sound-Lovers. 1) The T1 will be the most naturally-intuitive and best sounding wireless headphones in the market - embedding user-centric technological-advance features, presented with a proprietary intelligent interface. 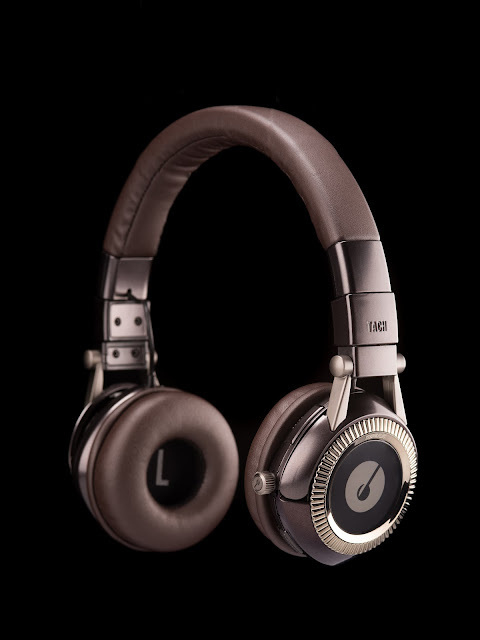 3) It is the first and only headphones in the market to feature an intelligent backup AAA battery system that switches automatically to the backup AAA battery when the internal battery runs out. 4) The T1 features a smart sharing capability - share music between two T1s instantly with a single-button press! Best for friends and couples. and sound response, making it perfect for games and movies. 6) In a world full of cold touch-sensors and controls, the T1 brings back the joy and warmth of analogue tactile feel with the iconic Pendulumic Dial, that's instantly familiar for everyone. *Thank you Daniel Chiau for taking the time to tell us about Pendulumic.